Mr. Izawa was born in 1973, in Gunma Prefecture in Japan. Since very young age he showed signs of talent becoming interested in classical and jazz music. It is in 1989 when he decided to take music as his path in life and started studying classical jazz under the late Mr. Fumiyoshi Maezawa . 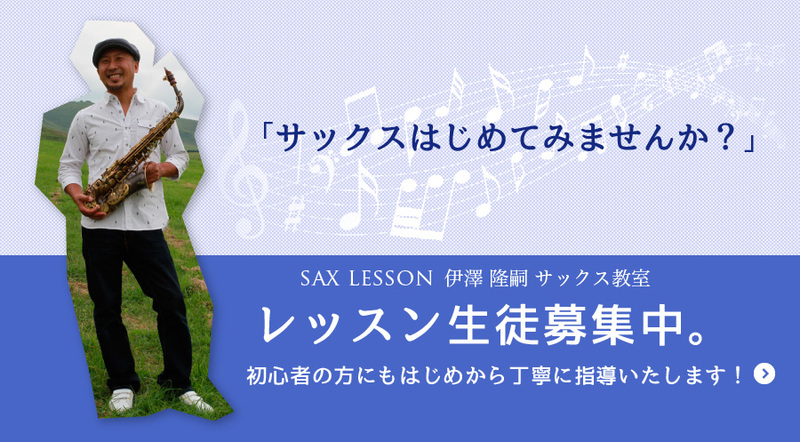 In 1996 he graduated from the Kunitachi College of Music with a saxophone specialization. It is at this time that he devoted most of his time to play jazz in school and in local concerts, eventually becoming the lead alto of the New Tide orchestra. 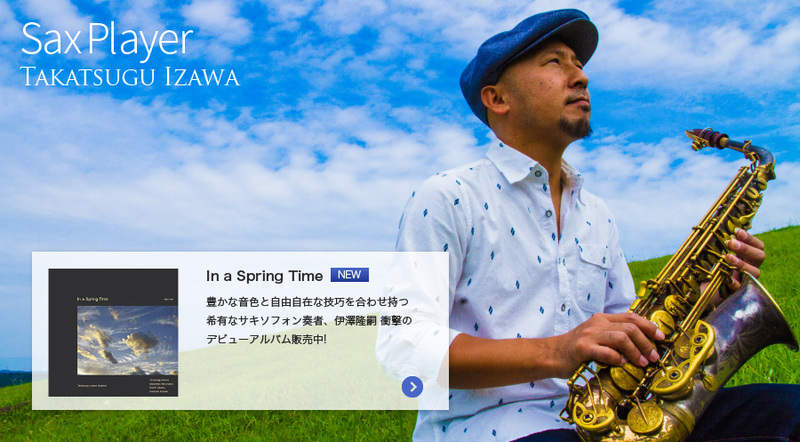 After graduating, Mr. Izawa continued his career as a musician by participating in a great number of concerts, events and private parties in Tokyo and across Japan. Mr. Izawa has played side by side with many renowned Japanese musicians and in the bars and street s of Ginza for more than 10 years attracting hundreds of people to his performances. 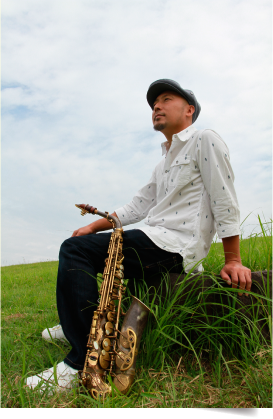 In 2008 he moved to N.Y, USA where he took lessons and played along from Vincent Herring. After the Great East Japan earthquake, March 2011, he relocated with his family to Kumamoto Prefecture. 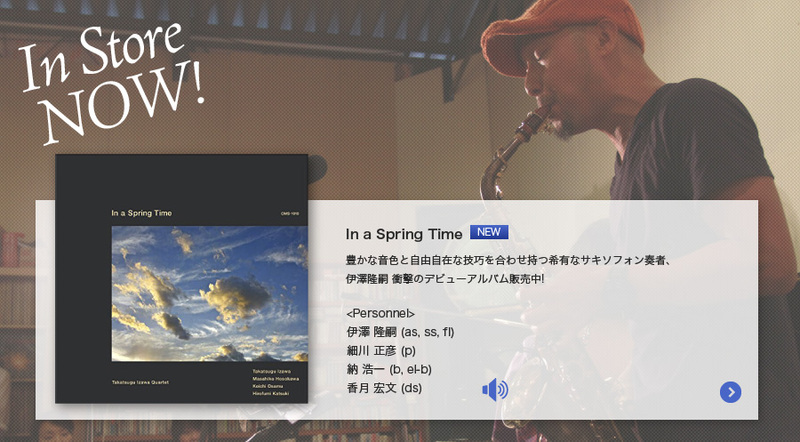 Rapidly joining the local Jazz scene and performing in concerts in Fukuoka City and across Kyushu Island. It is in 2014 when he launched his release the album "In A Spring Time" from CMS label, becoming the first leader in a group of collaborators. Some of the Co-staring musicians included, David Matthews , Fukuji Tainaka , Fumio Hayashi , Hideaki Kanazawa , Masahiko Hosokawa , Kouichi Osamu, Yoshiaki Okayasu , Taiki Yasukagawa , yoshirou Okazaki , etc. In 2015 Mr. Izawa has been invited and performed in various local T.V programs. Copyright © 2019 サックスプレイヤー 伊澤 隆嗣オフィシャルサイト All rights Reserved.